We've launched a new search portal on the AltusInSite homepage that uses the latest Cesium 3D mapping software. This new portal replaces our previous Google Earth-based 3D map that had been running on the AltusInSite homepage for the last year. Because we've migrated to Cesium from Google Earth, the new portal is cross-platform and cross-browser compatible. 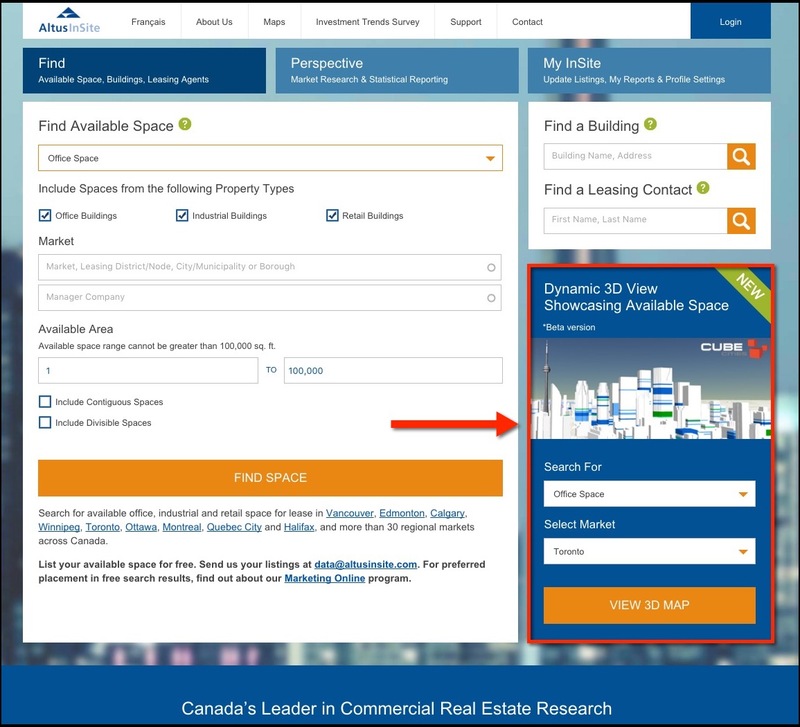 Additionally, our 3D office market coverage has been expanded to include Ottawa, which joins Vancouver, Calgary, Toronto and Montréal in our 3D search results. Visit the AltusInSite homepage to begin exploring our 3D office markets with Cesium or click any of the direct city links below.